Clearly the SSAS MD Formula Engine could optimise the version with the hard-coded constant value but could not optimise the version with the calculated measure. 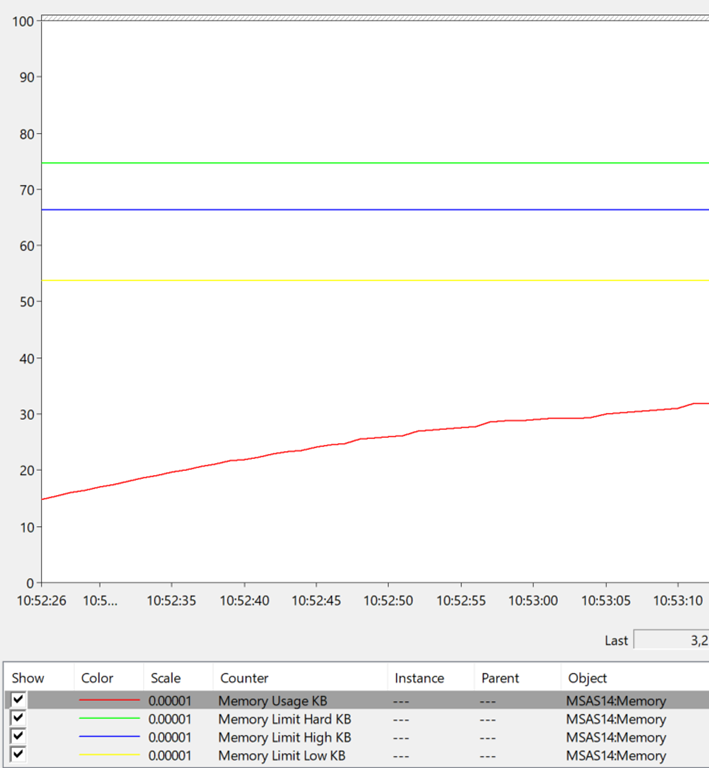 There was nothing in Profiler to indicate the calculation was being evaluated in cell-by-cell mode though. Finally I created a dummy table in my DSV with one row and one column to hold the 0.08 value, and then created a real, non-calculated measure from the column. When I used this measure in my calculation then performance of my test query was also sub-second. So, to sum up, it looks like hard-coding constant values in calculated measures is a bad idea, at least in cases like this, and either using the values themselves in your MDX calculations or creating a table and non-calculated measure specifically to hold the value is better for performance.